for they are now a part of us. As we remember them. When we are weary and in need of strength we remember them. was born on May 15, 1847, in Cayuga, New York. He had three sons and four daughters with Elizabeth "Scah wah na dee" Davis between 1868 and 1888. He died on May 16, 1919, in Council House, Oklahoma, at the age of 72, and was buried in Wyandotte, Oklahoma. 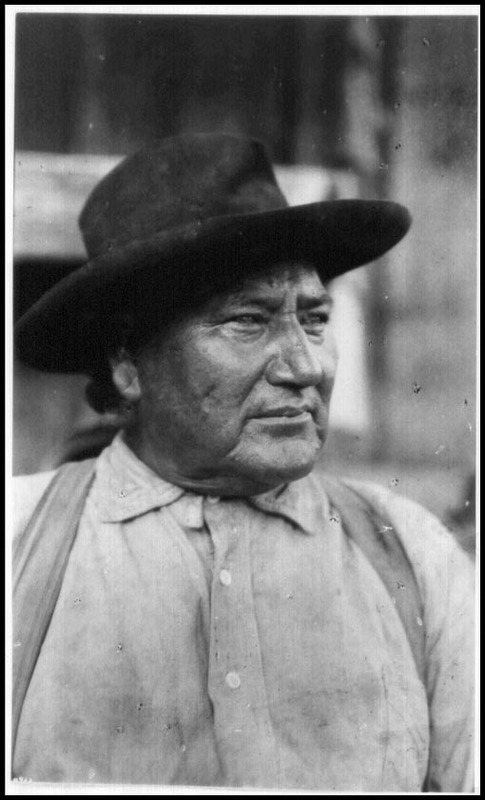 Jack Armstrong was a noted Indian in the Seneca nation. He had held numerous postions to the tribe. He was described as a large, fine looking man. He was a great man to hunt and had several dogs. Through the mistry he found christianity, and was saved. From thet day forward they say he never faltered and became an elder in the Friends church and again was described as true as steel. Jack Armstrong and Elizabeth Davis had been married for many years under native custom but was married on Sycamore Creek at Aunty Charloe's.